Is there a better alternative to Airplane? Is Airplane really the best app in Developer Tools category? Will Airplane work good on macOS 10.13.4? Airplane allows you to send HTML e-mails only. It sends HTML data created using an external editor directly via e-mail. 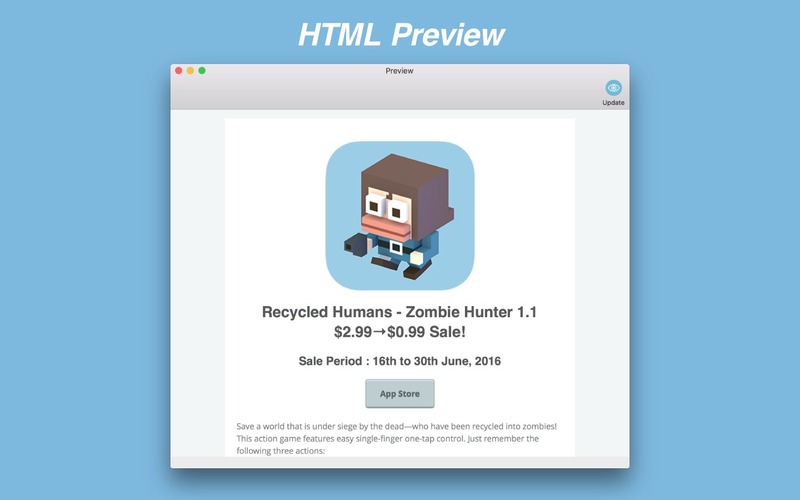 The app does not automatically reformat any HTML text, so it will never destroy your original HTML layout. If the recipient's e-mail software is unable to receive HTML e-mail, you can make it display the content in plain text instead. 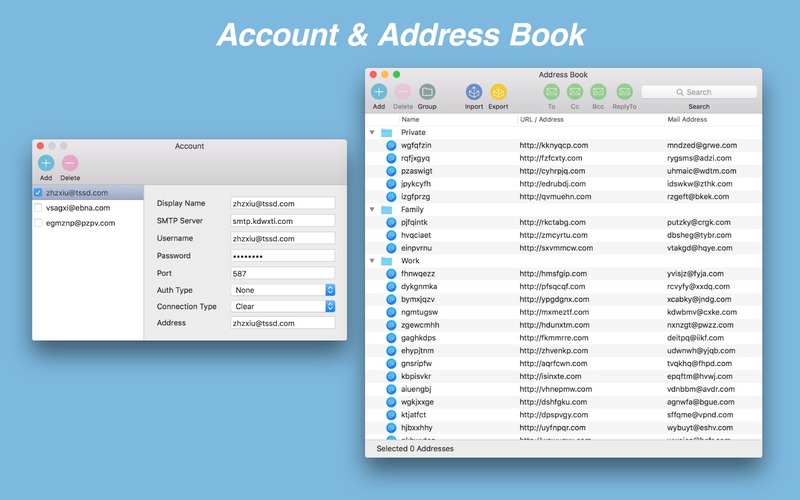 You can categorize recipient e-mail addresses into groups to send an e-mail to multiple addresses at the same time. Airplane needs a review. Be the first to review this app and get the discussion started! Airplane needs a rating. Be the first to rate this app and get the discussion started! It can read in image file attachments as related link files; it then replaces the Content-ID with the image address in the HTML data, in order to display image attachments within the HTML content. 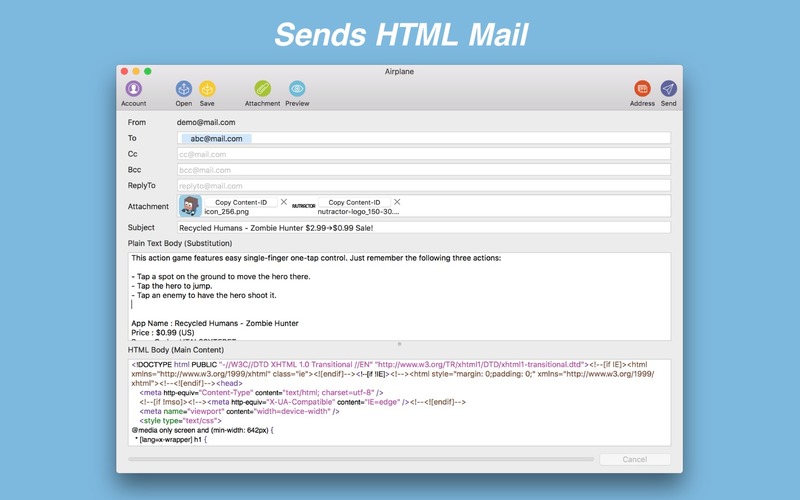 This app has been designed for sending HTML e-mails only. It does not have functionality for receiving e-mails. The app's HTML editing functionality only allows you to overwrite the source text directly. To create new HTML data, please use a different HTML editor app.